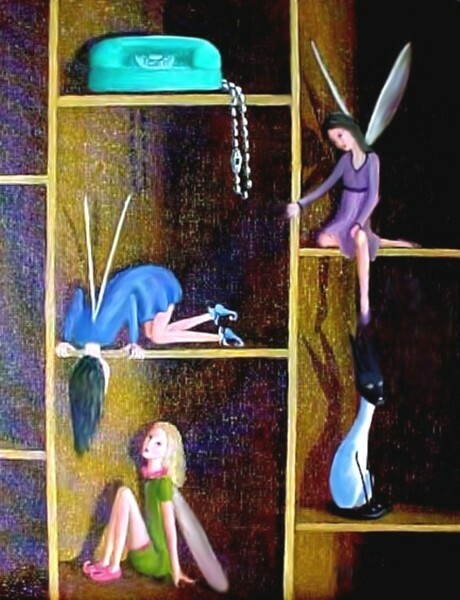 The Shadow Box fairies are painted with oil on a canvas panel. How fun! Love how playful this piece is.